Adrian Todd Webb’s Oahu project is a whimsical departure from his other pursuits as a member of the electro-folk-pop band Seamonster, Illustrator / Cartoonist, and the Editor of Nine Things magazine. Plant Life is island living encapsulated in multi-tonal ambience. 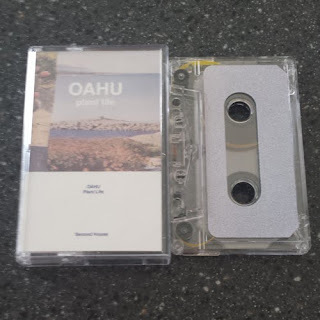 The title side slowly grows from simple chord to big distorted sun saturated beast over the length of the tape; a meditation on nurturing, patience and the behemoth potential of nature itself. These are the harmonies of organisms linking together to develop, spread and survive. Ant Colony begins on a percussive note and pulls some of that Seamonster flare into the fold. An unexpected noisy, acidic groove that mimics the busy, bouncy work that goes on in an ant colony. Synths symbolically jabber and bustle like the commanding and responding creatures of the mound. Oahu finishes the tape off with Redwood, a droney bit of business built for the scenic experience. A muted, foggy piece that pairs well with stargazing through the slits in the treetops. 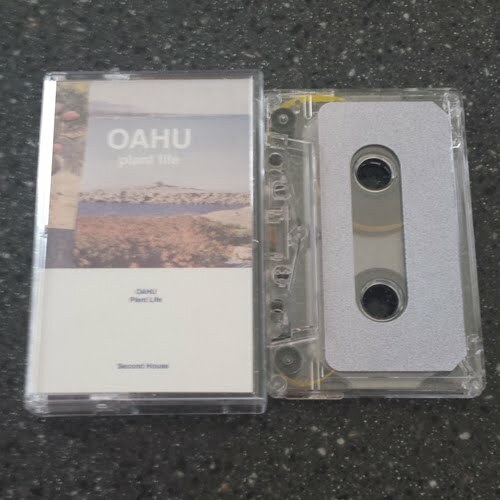 Webb succeeds in providing a perfect snapshot of Virginia Beach experiences wrapped in the exotics of Hawaiian pre-conceptions (I’ve never been to Hawaii, but I imagine this tape would totally compliment a visit there). LIYL: Discovery, High Sunn, Yo Gabba Gabba!